Universal Studios Florida has officially announced the Harry Potter Expansion. 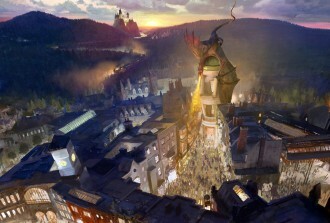 The official name is Diagon Alley, referring to the Wizard street in London from the Harry Potter books. Most people were well aware of the expansion for months, despite the lack of a public announcement from Universal. With all eyes on Universal now, how will Walt Disney World Resort react? The truth is that Universal’s announcements have been dominating the theme park scene for a few years now, starting with the Wizarding World of Harry Potter. Hollywood Rip Rocket, Despicable Me and the upcoming Transformer 3D ride have been major boons in Universal’s favor, creating record attendance at Islands of Adventure and Universal Orlando. Diagon Alley could cement Universal as the innovator for the next few years. By contrast, Disney’s announcements during that time have been the Fantasyland Expansion and the Rapunzel/ Tangled bathrooms. The Rapunzel lavatory may be impressive, but it isn’t an attraction. And while there was much excitement about the Fantasyland Expansion, it isn’t all that great as it turns out. The area that was once Toontown is now Storybook Circus, but that is little more than a face lift. The second Dumbo ride won’t bring new people into the park. The Seven Dwarfs Mine Train won’t be open until sometime in 2014. So the only real draws Disney has created are The Little Mermaid ride, some minor Princess themed attractions and a new restaurant. This may be why Disney has been pushing for Avatarland to become a reality. But this is problematic as well. The reaction to Avatarland has been arguably the most controversial in WDW history. There aren’t a lot of people who seem to like the idea. 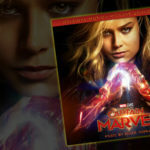 For one thing, the movie is currently four years old, though sequels are in the works. And despite financial success, Avatar is a critically panned film. Its almost exclusively admired for its impressive visual effects. The story itself is often accused of being a rip off of Dances With Wolves and Pocahontas (which of course is a movie Disney already made). What is really troubling about all this is that Disney is far from tapped of ideas or possibilities. 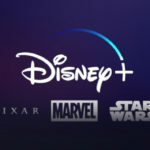 Disney’s acquisitions of Pixar, Marvel and Lucasfilm have anticipation at an all time high. My personal opinion is that Disney is holding off on using these until they can break Marvel’s contract with Universal so they can announce something BIG. But even if that is the case, they need to do something. Carsland changed the game at Disney’s California Adventure. Bringing it to WDW would be a huge plus, drawing in families by the thousands. After all, Toy Story Mania has been out for 5 years and is still the busiest attraction in the entire Resort! However, if Disney doesn’t want to open an attraction based on those properties, I have a few suggestions. Disney needs to make an announcement that will draw crowds old and new in the next year or get left behind.